Interior design is a dynamic industry that is becoming increasingly popular. The brilliant interior designers who work to give life to a space draw influence from sources including fashion, architecture, and their clients. One of these designers is Jennifer Schmidt of JWS Interiors. 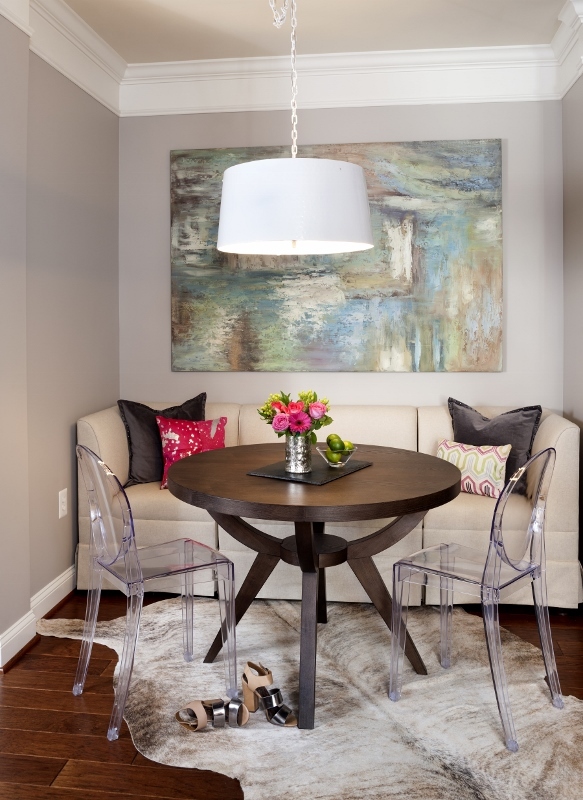 JWS Interiors is a chic and stylish interior design service based in Washington, DC. We had the pleasure of interviewing the lovely Jennifer Wagner Schmidt of JWS Interiors to understand her work as an interior designer. Who is your favorite icon? Oh! I can’t name just one! My favorites in both fashion and design and of course these have some overlap include Kelly Wearstler (design and fashion), Jan Showers (design), Victoria Beckham (fashion), Olivia Palermo (fashion). Who do you see your company collaborating with? I would love to collaborate with the likes of West Elm, Jonathan Adler, as well as fabric and wallpaper companies. I love anything that has a hint of glamour so representing designs with this aesthetic would be a good fit for JWS Interiors. I’m on-the-go a lot and I love every minute of it! Whether it’s dropping off and picking up my daughters at school; meeting clients; designing in my studio, or traveling to Miami and NYC (two of my favorite cities) every week proves to be jam-packed. I also love to entertain several times of month. Jennifer Schmidt really “understands the importance of designing practical, yet beautiful spaces” and strives to bring this to the interior design industry. If you are looking to design a new room or even revamp an old space, consider hiring an interior designer! They will utilize their expertise to create a space that highlights your taste and style.